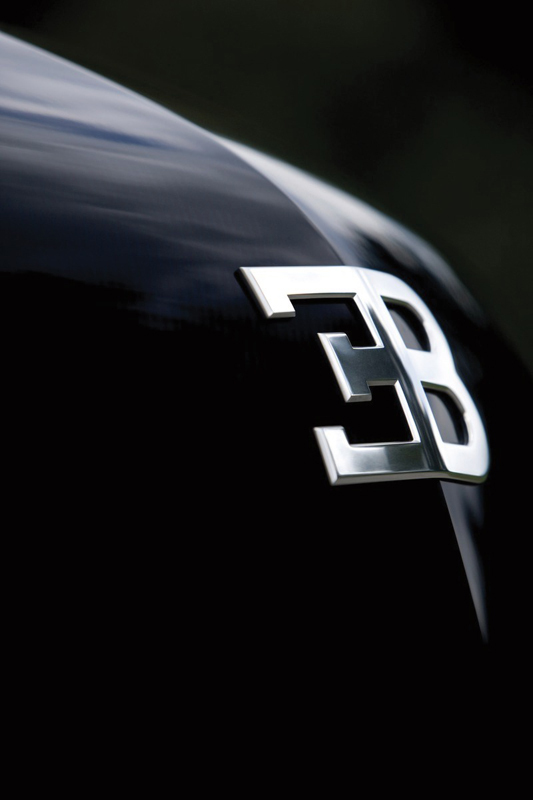 Sculpted beauty, form, and power with a classic Bugatti soul. 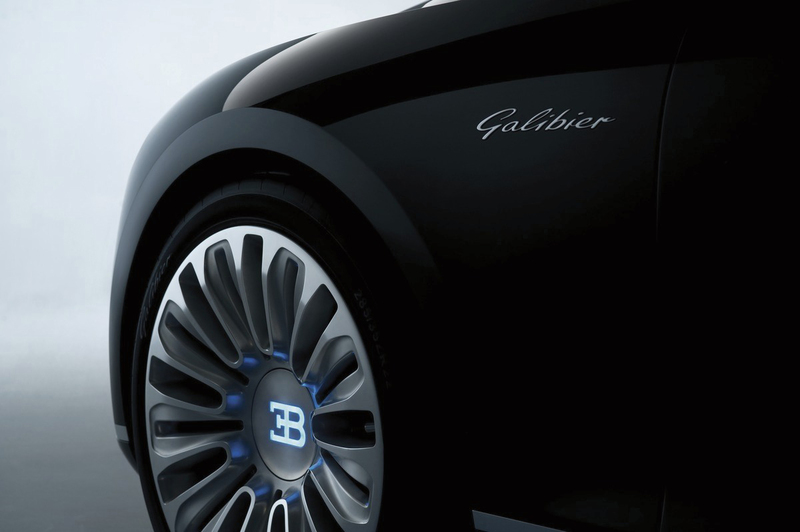 The new 16C Galibier is Bugatti’s latest four-door sedan concept study combining traditional Bugatti design and elegant power. 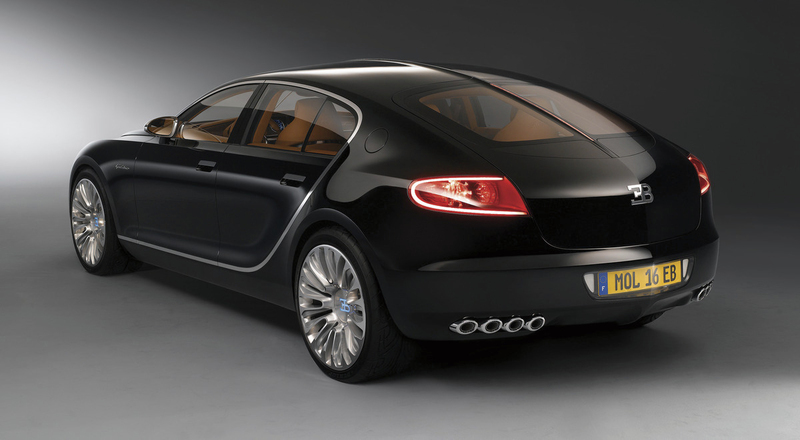 With a bold 8.0-liter W-16 engine and a striking design, the 16C Galibier embraces the same values established by Ettore Bugatti and his son Jean in the early 20th century. 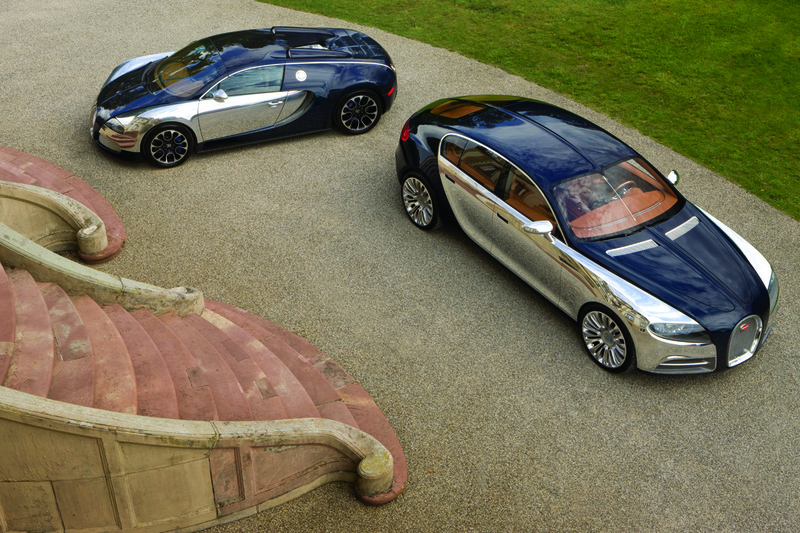 The design of the 16 C Galibier is takes characteristics from classic Bugatti models such as the Type 35 and Type 57S. The torpedo-like architecture that originated in 1924 with the Type 35 in 1924 was used, and gives the 16C Galibier a sleek and graceful form. 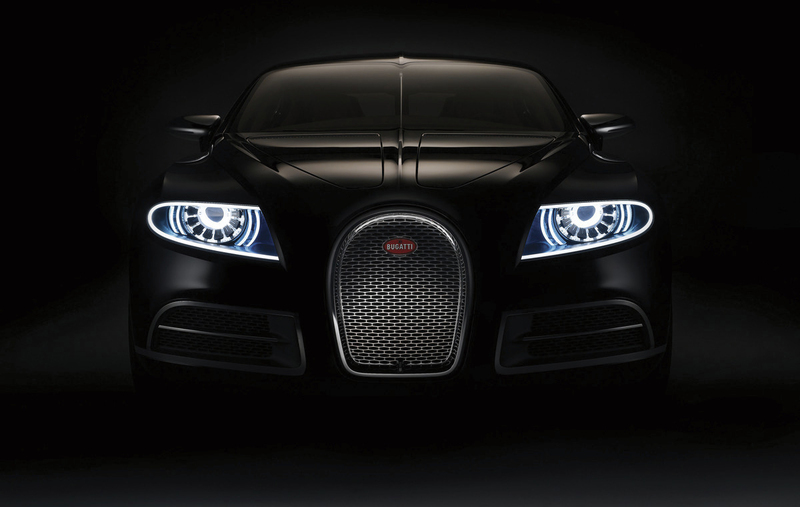 Two round LED headlights, each surrounded by an LED trim flank the classic Bugatti grille. 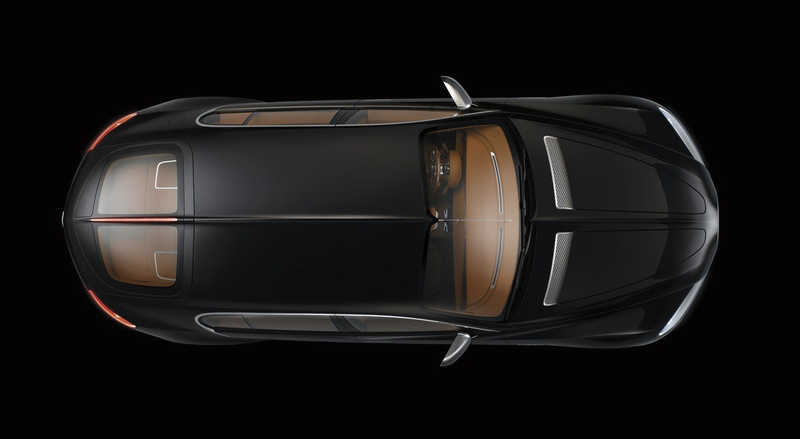 The traditional “center spine” first seen in the Type 57S runs from the front grille to the rear of the car, where an LED brake light is integrated into the spine of the rear window. 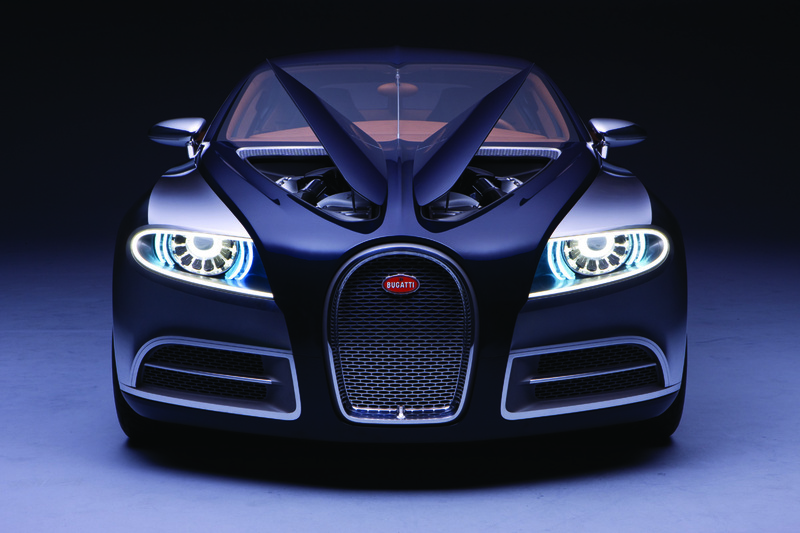 The large wheels feature a leveling Bugatti logo that glows in a cool blue. 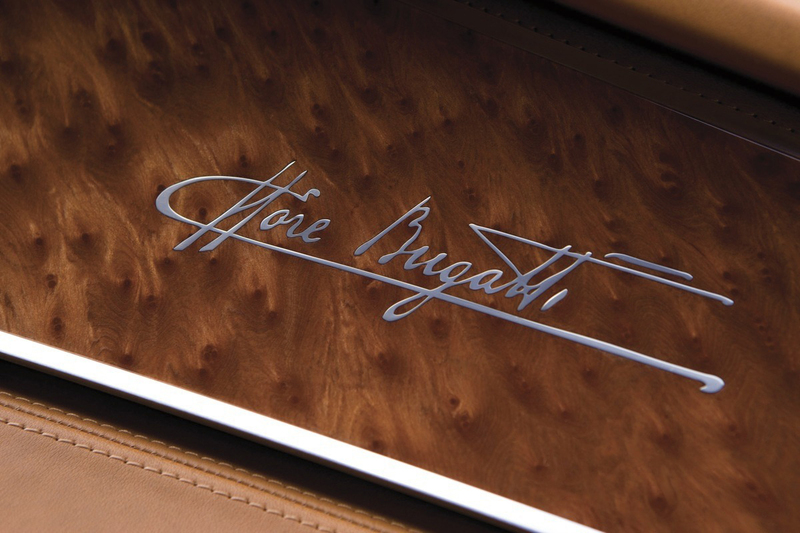 One of Bugatti’s hallmarks has been their powerful engines, contributing to the marque’s successful racing history. 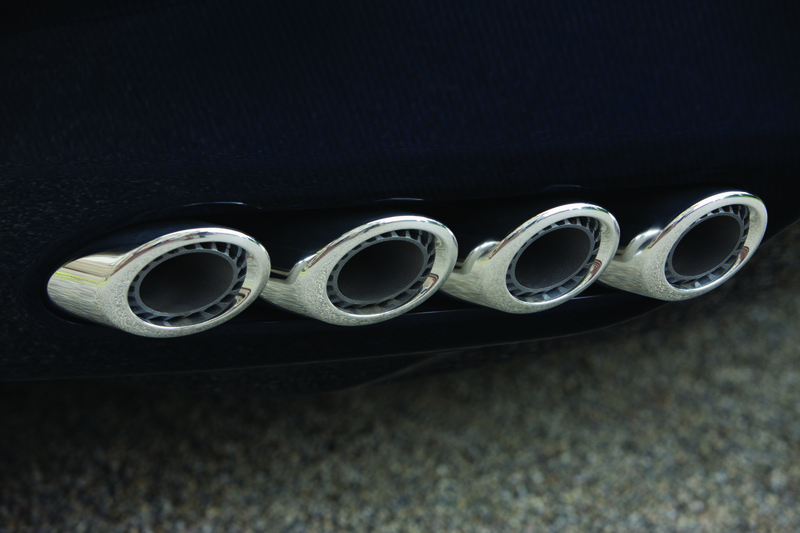 Like the Bugatti Veyron, the 16C Galibier utilizes an 8.0-liter W-16 engine with not one, but TWO superchargers in place of the Veyron’s four turbochargers. 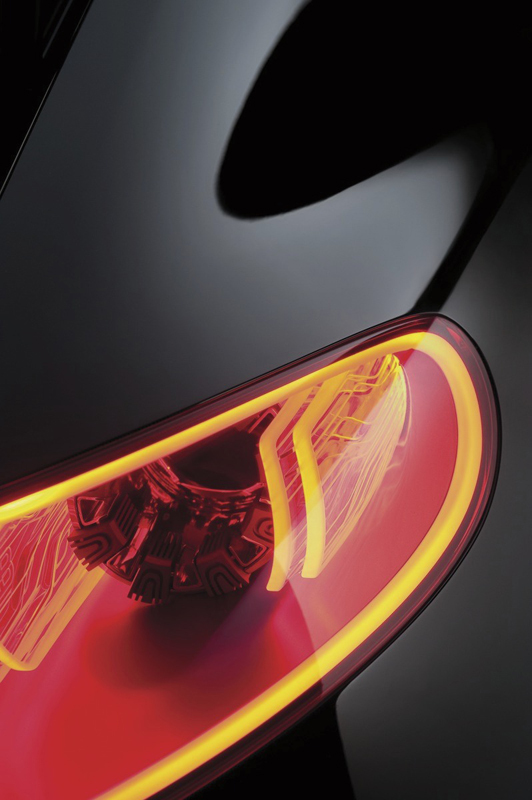 The two-stage supercharging system produces approximately 800 horsepower, sending power to the four-wheel drive system. The new 8.0-liter has also been designed to be flex-fuel compatible. 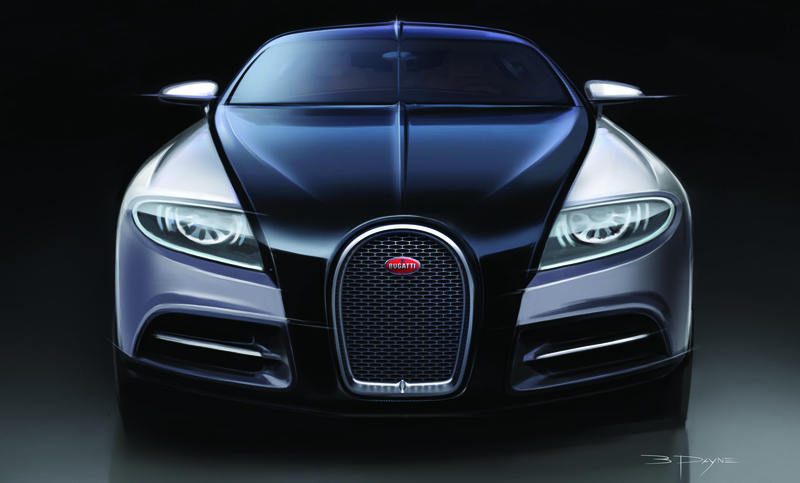 While performance figures have not been released it is rumored to be capable of a 220 mph top speed. 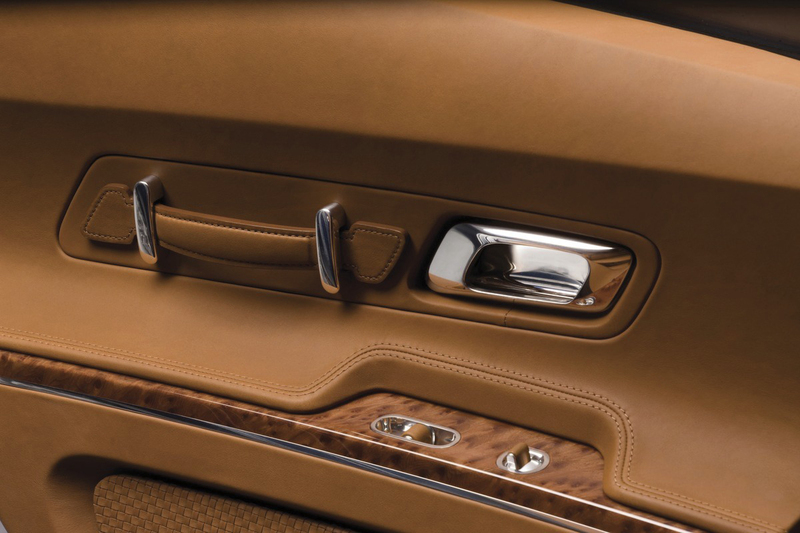 Inside, the Bugatti 16C Galibier features a rich and refined interior, using only the finest materials. 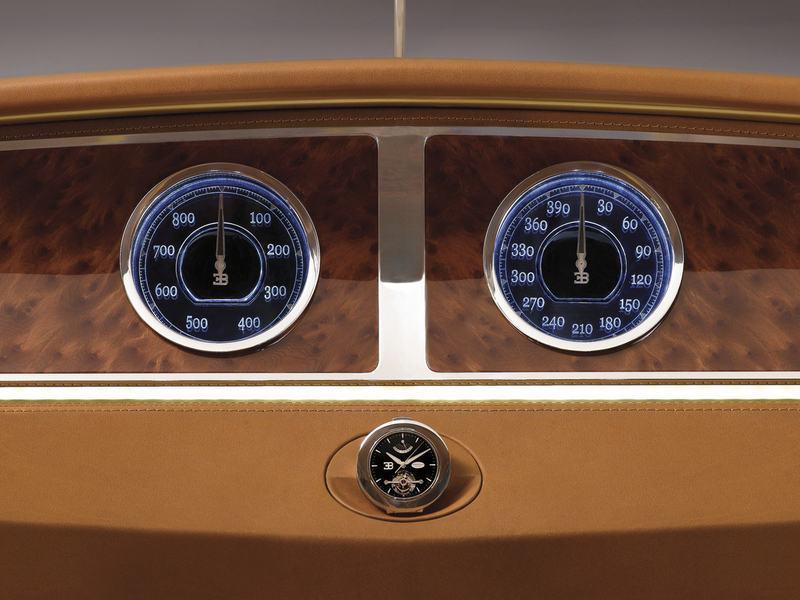 Two dials are centered in the dashboard, displaying speed and performance in a blue glow. Rear passengers are met with a warm and comfortable environment with ample headroom thanks to the architecture of the 16C Galibier. A console extends to the rear and features a multimedia screen with rear seat controls. 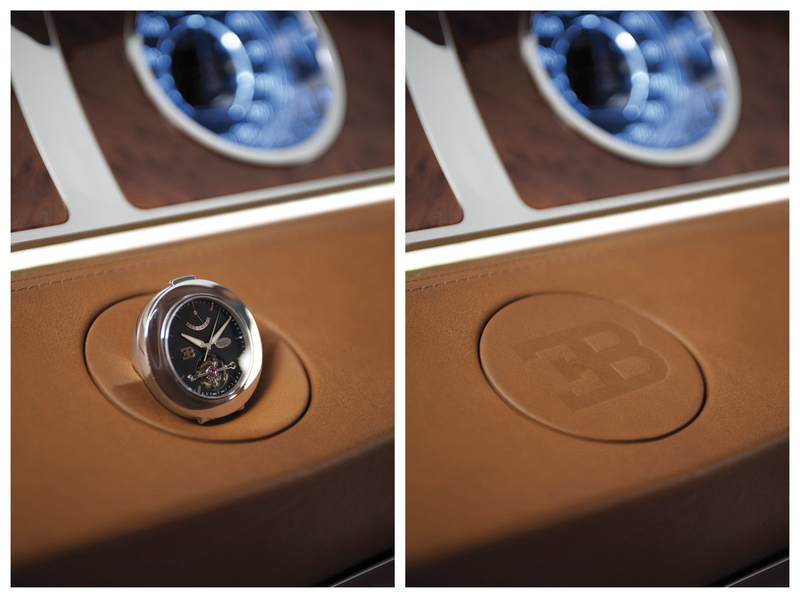 The centerpiece of the cabin is the Bugatti tourbillion watch integrated into the 16C Galibier’s dashboard. Built by Parmigiani Fleurier, the tourbillion watch can be removed and used as a wristwatch, table clock, or pocket watch. 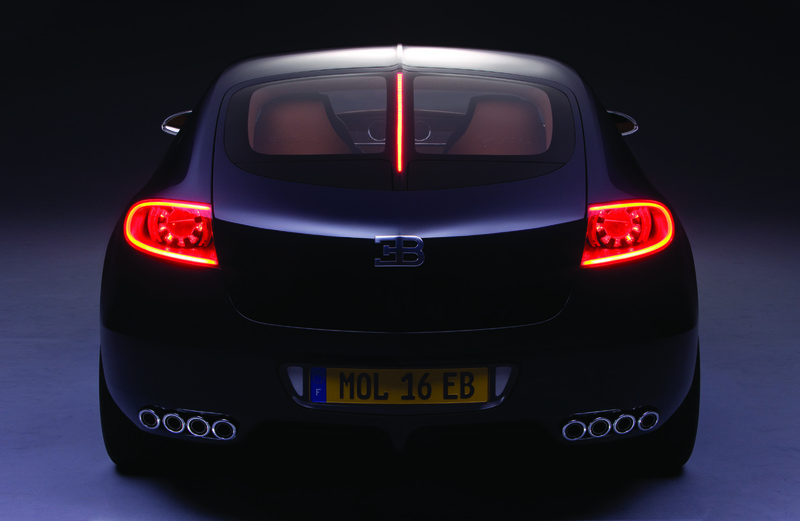 The Bugatti 16C Galibier has received a positive response from customers and industry experts, lending to speculation that the four-door will be put into production. Pricing is expected to begin at $1.5 million.